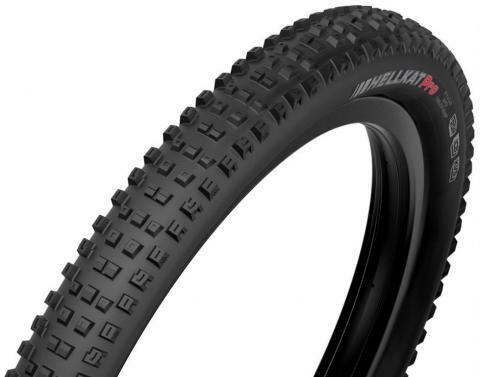 The all new Kenda Hellkat was developed with help from the Polygon-UR Team and given all the goods needed to perform as a World Cup caliber tire. Superior braking control and cornering traction define this tire. It is ideal for gravity orientated riders looking for a tire with great grip and puncture protection and still quick rolling and will keep you upright and moving through a variety of conditions. It's a completely new tire equipped with an innovative KVS gravity casing and grippy RSR dual layer compound.